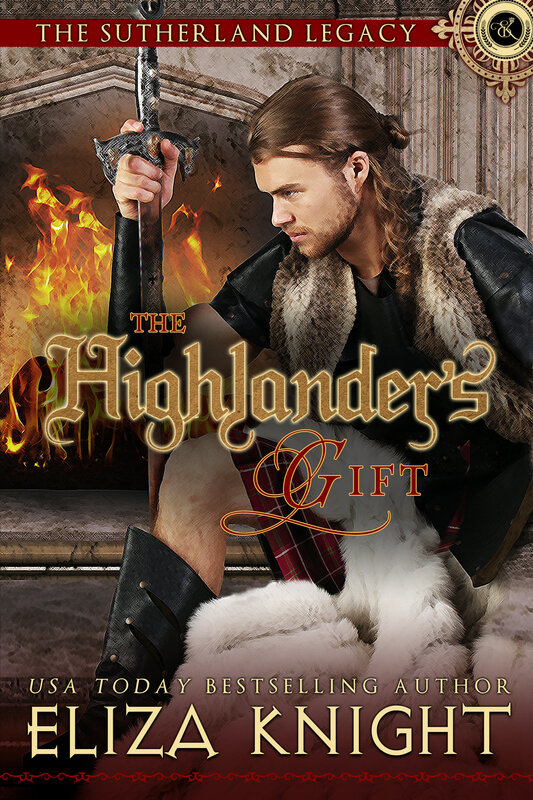 Add THE HIGHLANDER’S GIFT to your TBR pile on Goodreads! Then keep reading to get an EXCLUSIVE sneak peek and enter the giveaway for a $50 Amazon Gift Card or an eBook from Eliza! Betrothed to a princess until she declares his battle wound has incapacitated him as a man, Sir Niall Oliphant is glad to step aside and let the spoiled royal marry his brother. He’s more than content to fade into the background with his injuries and remain a bachelor forever, until he meets the Earl of Sutherland’s daughter, a lass more beautiful than any other, a lass who makes him want to stand up and fight again. As daughter of one of the most powerful earls and Highland chieftains in Scotland, Bella Sutherland can marry anyone she wants—but she doesn’t want a husband. When she spies an injured warrior at the Yule festival who has been shunned by the Bruce’s own daughter, she decides a husband in name only might be her best solution. “I fear I am lost,” he ground out. “Kiss ye?” He stared at her lush lips, wanting more than anything to do what she asked. “Then accept your gift,” she whispered. Accept his gift. Accept the thing he’d dreamed about for nearly a decade. Niall bent and brushed his lips over hers. At the sudden contact, she sucked in a breath through her nose, and he instinctively tried to retreat, but she leaned into him. “This time, I’ll need ye to be my lady,” he murmured. “And ye will be my knight,” she whispered. Tentatively, he touched her elbow, sliding his hand down to hers, entwining her trembling fingers with his. He breathed in the heady, sweet scent of flowers and herbs. Her lips were soft, warm and pliant. Sweet. When had he last kissed a woman? He wasn’t certain. A year or more? And the kisses he’d shared had never been as sweet or tender as this. What was it about Bella Sutherland? He shook with restrained desire, madness even. Wanting to deepen the kiss and knowing it was too soon, Niall pulled away. 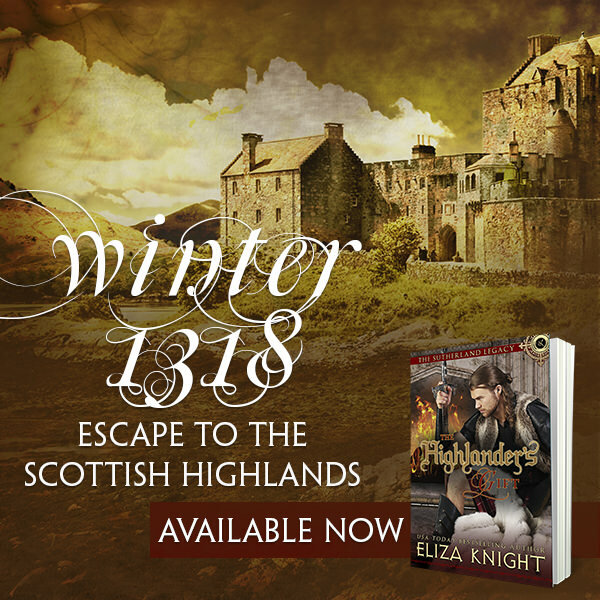 Eliza Knight is an award-winning and USA Today bestselling author of over fifty sizzling historical, time-travel and contemporary romance novels. Under the name E. Knight, she pens rip-your- heart-out historical fiction. 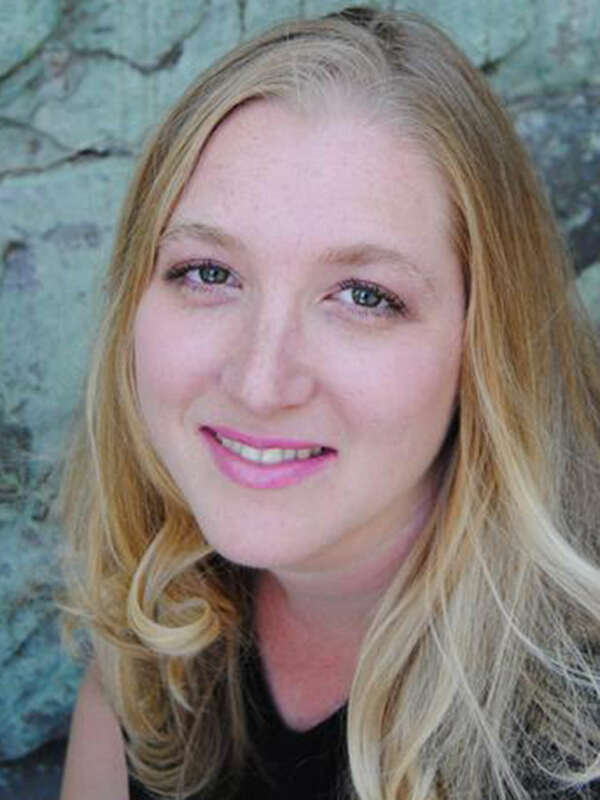 While not reading, writing or researching for her latest book, she chases after her three children. In her spare time (if there is such a thing…) she likes daydreaming, wine-tasting, traveling, hiking, staring at the stars, watching movies, shopping and visiting with family and friends. She lives atop a small mountain with her own knight in shining armor, three princesses and two very naughty puppies. I am a participant in the Amazon Influencer Program, an affiliate advertising program designed to provide a means for me to earn fees by linking to Amazon.com and affiliated sites. In addition, I may be compensated for purchases made via my Amazon Influencer page. In accordance with new FTC guidelines regarding endorsements and testimonials for bloggers, we receive no compensation for any reviews. Material discussed has either come from our personal collections or has been provided to us free of charge in exchange for an honest review. We are in no way compensated for any reviews on our site. If the book has been sent to us by an author or publisher it will be disclosed at the end of our post.